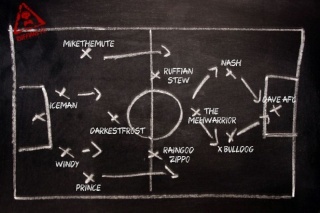 With summer in full swing Ruffians FC rolls into July with it's ever present Wednesday fixture night! My Vote goes to St Johnstone! I'm in and as we have been Aberdeen in the past my vote goes to St. Johnstone. And you are correct those are the 4 teams who started out in Europe - although St. Johnstone fell at the first hurdle and Inverness look likely to follow this week. i'm game . . . I'll be on at some point. Celtic for me.